Root cellars are as useful today as ever. In fact, root cellars in all forms are very up-to-date, what with the costs of food and its processing getting higher every year. As we see it, root cellars are right up there with wood heat, bicycles and backyard gardens as a simple, low-technology way of living well — independently. The term "root cellars," as used here, includes the whole range of ingenious vegetable-saving techniques, from hillside caves to garden trenches. The traditional root cellar is an underground storage space for vegetables and fruits. Where space and lay of the land permit, these cellars are dug into a hill and then lined with brick, stone or concrete block. Dirt-floored or insulated basement rooms — less picturesque but probably more numerous. It's amazing how the uprooted plants can maintain their quality and appearance for months with no sunlight, water, or nutrients while standing on the cold, earth floor of the root cellar. Root cellars aren't high on the list of options for home builders anymore, but you can recreate the conditions using crawl spaces or unheated storage areas. Barrels or large containers sunk into the ground at an angle and insulated with straw and earth can also serve as improvised root cellars for storing fresh produce. Most modern basements are too warm for long-term winter storage, but you can create an indoor version of the cellars that have long served homesteaders well by walling off a basement corner and adding the vents. The two vents create a siphon effect that lets you regulate the flow of cold outside air into the insulated cellar room, allowing the temperature to remain near freezing through the winter months. 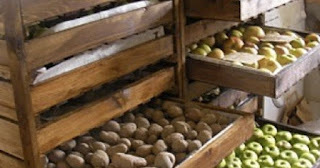 Whatever produce you stash in your keeping room, there are several rules of thumb that will help the food stay sound and healthy until you're ready to eat it. 1. Treat all winter-keeping vegetables gently at all stages of harvest, preparation, and storage. Bruised produce spoils sooner. 2. Store only your best fruits and vegetables. Cut, bruised or diseased vegetables not only spoil more quickly but also encourage spoilage in neighboring foods. 3. Pick produce at maturity—neither unripe nor overripe. 4. Harvest fruits and vegetables during a dry spell if possible. 5. Leave vegetables in the garden as long as possible, but keep an eye on the cooler fall weather and rescue them before First killer frost hits. Beets, for example, can stay out well past the first light frosts, but they should be dug before night temperatures dip to 24°F unless their exposed shoulders are well protected by mulch. Low temperatures in the autumn encourage vegetables to store more sugars and starches and less water, making them better keepers. 6. Choose varieties of vegetables that are well-adapted to storage: Long Season beets, cabbage, and potatoes, for instance. 7. After digging root vegetables, chill them as promptly as possible. Don't leave them out in the sun. To prepare root vegetables for winter storage, simply trim the green tops, leaving a one-inch stub (if left untrimmed, the top growth will decay and encourage the deterioration of adjacent roots. Take care not to cut the root flesh, and don't cut off root tips, either—any skin break invites spoilage. In addition to the above-mentioned foods, you can store your canned tomatoes, peaches, pears, green beans, peas, fish and meat, in fact, any type of canned foods in your root cellar. They will provide a pleasing array of natural colors; the result of a summer's hard work and patience, all neatly lined up on shelves. There are several types of the root cellar and different ways in which to construct one. There's the Hatch Cellar, Hillside Cellar, and the Above Ground Cellar. The Above Ground Cellar is made from a wood frame, covered thickly with sod on the outside, lined inside with rocks, with a regular insulated door at the front. It's amazing how the uprooted plants can maintain their quality and appearance for months with no sunlight, water, or nutrients while standing on the cold, earth floor of the root cellar. Root cellars aren't high on the list of options for home builders anymore, but you can recreate the conditions using crawl spaces or unheated storage areas. Barrels or large containers sunk into the ground at an angle and insulated with straw and earth can also serve as improvised root cellars for storing fresh produce. A few weeks of curing and they will be ready to hang up in your root cellar or somewhere cool-ideally 60-70% humidity with a temperature of 35- 40F. When our house was built in 1979 there was a wood room for a wood stove, already had the vent in it. We built shelves and bins for produce. I use saw dust and sand to protect the vegetables from air exposure. The cellar keeps a constant 36 degrees even when it gets below zero, very impressive. I am sure it gets some heat from the basement walls. This intern will save us money, we only have one chest freezer for meat. Next year I would like to use some of the old-time meat preservation techniques. 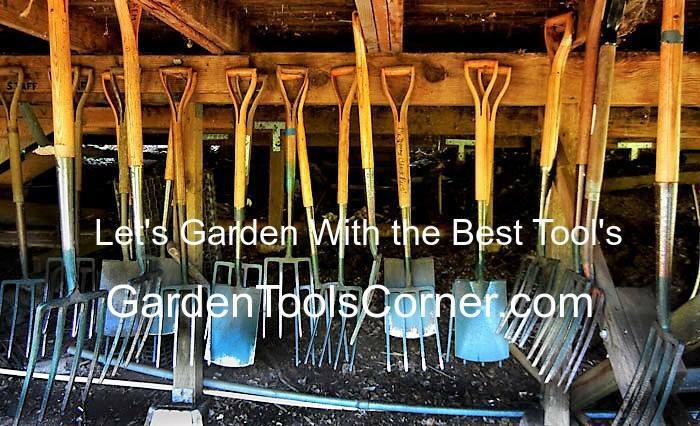 The love of gardening has brought us to the gardening tool business.Unique garden tools brought to you by GardenToolsCorner.com Hand tools, garden supplies, pots and planters, power tools and composting supplies Garden Tools Corner.com. FREE Shipping. We do not sell generic tools by any means. These tools are for serious Gardener,s as well as beginner's who enjoy well-crafted tools. No disappointments. Happy Gardening. Enjoy!